Trade Counter in Telford open for Trade and Public. For machinery we use the leading brands Numatic and Truvox, and the machinery we cover are vaccums cleaners, floor polishers, carpet cleaners, scrubber dyers including the Truvox Mulitwash Range. And we also cover all your cleaning equipment including all brush wear and litter pickers for your washable and wooden brooms, dustpan and brushes, hand held and nail brushes and your toilet brushes. 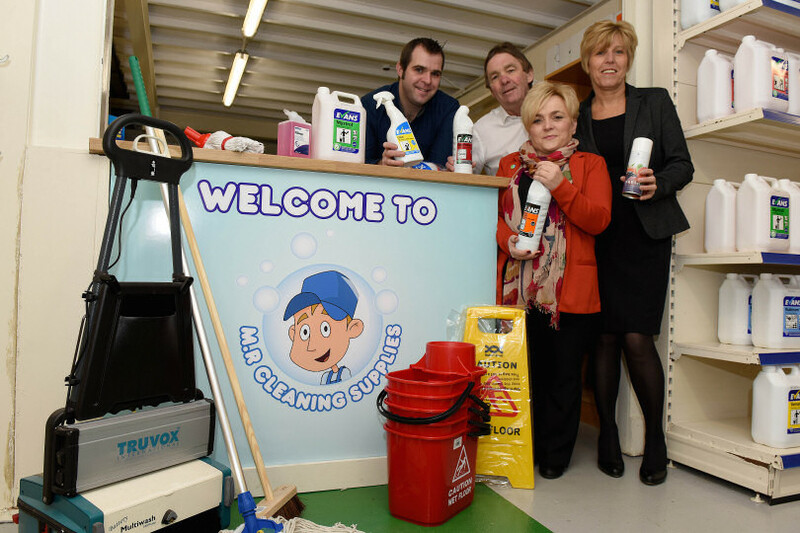 And offer a great range of dusters and cloths to suit all cleaning requirements, along with scourers and sponges for the more difficult tasks.For our chemicals we work with another leading brand Evans Vanodine and supply all chemicals from your Washroom Supplies, toilet Cleaners, floorcare and carpet Cleaning products to name but a few. We offer Free delivery within the local area, and also offer business's the opportunity to apply for a 30 Day account. 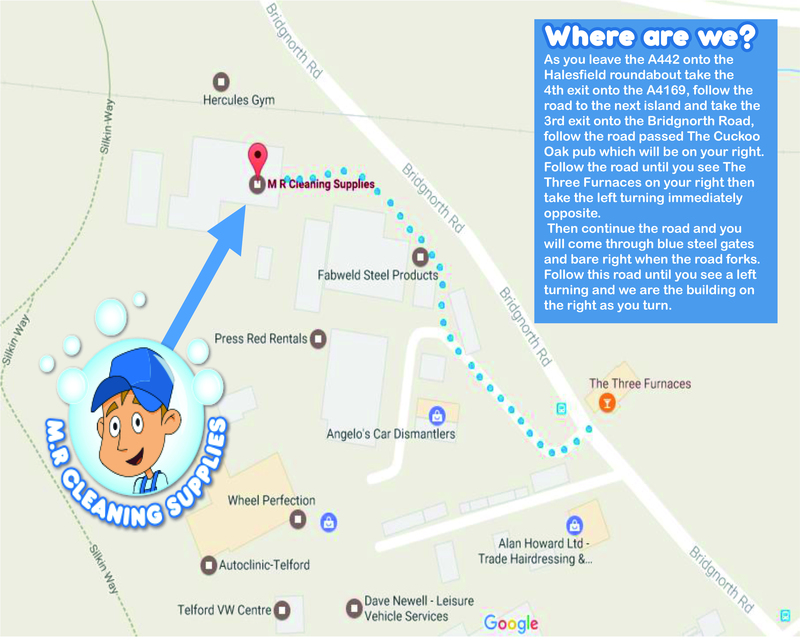 Please feel free to pop in and see us at Unit G8 Court Works 2000 (Click link for Map) or visit www.mrcleaningsupplies.co.uk Or give us a call us on 01952 951736 or email sales@mrcleaningsupplies.co.uk where we will be happy to help!